Korp! Sakala is an academic fraternal organization, established in 14th November 1909 in Tartu, Estonia. The goal of korp! 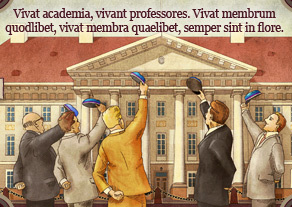 Sakala is to strengthen the academic bonds and support its members both morally and materially. 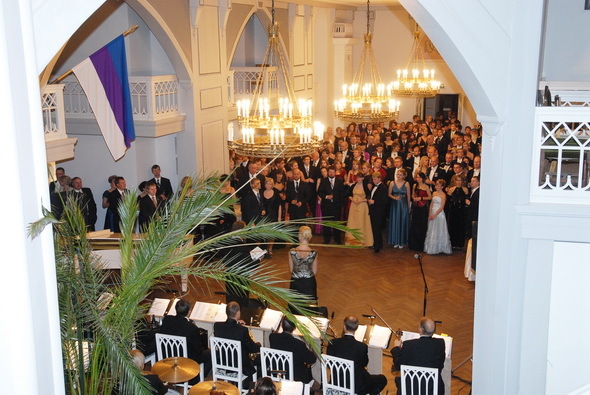 With its activities Sakala intends to improve Estonia’s self-governance, preserve and advance its culture and to support realization of the ideas of democracy. The main principles of korp! Sakala are national loyalty, patriotism, promoting education, healthy living and physical recreation. We are united by our motto - “One for all, all for one”. These principles can be summarized in the words "natio - democratia - fraternitas", which are represented in our colors - blue, violet and white. Since the beginning Sakala has been actively involved in foreign relations. In 1929 a partnership agreement was signed with Hämäläis-Osakunta in Finland and in 1939 with the Swedish student organization Gästrike-Hälsinge Nation. These relationships are still being actively pursued after re-establishment.World War II and its aftermath had a severe impact on Sakala, as well as for Estonia and its people. Attempting to escape the deportations and prosecutions by the Soviet regime, our members were thrown all across the world. In 1940 Sakala was banned for many decades to come, but its spirit was kept alive with activities abroad. Divisions were established in Sweden, Germany, United States, Canada, United Kingdom and Australia, regular meetings and events were held to keep up Sakala’s everyday activities. 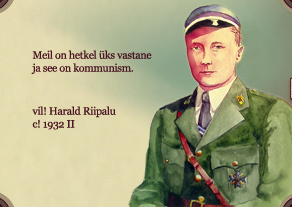 Despite all the hardships and wars, members of Sakala were certain of one thing during the days of their exile: the youth of Estonia must survive in the free world, for the good of the homeland that will surely be liberated again. Some of these men would have to be the ones to bring Sakala back to life in its birthplace – Tartu. Times changed and with that, the restoration finally became possible in Estonia. In May 12th 1989, Sakala was officially reinstated with Tartu University. Six years later, the historic building of Sakala was returned to us and during our anniversary in 1997, we held the grand opening ceremony of our newly renovated rooms. Today, Sakala continues realization of its ideals, with the number of our members gradually growing. In Estonia Sakala has ca. 400 members; more than 100 members are in divisions abroad. The convent life consists of regular events, meetings and visits to other organizations according to our traditional rules. This includes cantus lessons, dance lessons for young members with some sorority, sporting events etc. Sakala has its own soccer team playing in the Estonian League, and an Alpine Club that has successfully conquered some of the highest summits in Europe, including Mt. Elbrus in Caucasus. Our men’s choir is well-known for its talented performances in events around Estonia and abroad. 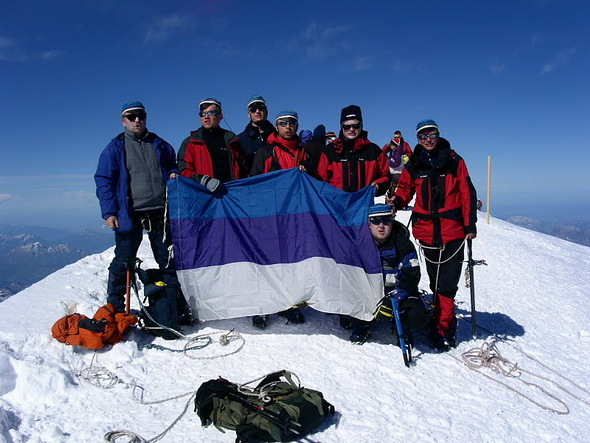 Sakala's Alpine Club at the summit of Mont Blanc. Every 5 years our member’s scientific research papers and other works are published in our compendium "Verbum Habet Sakala". Our alumni organization gives continuing support to convent in its activities and to provide financial background. The scholarship fund of Sakala offers financial support to Estonian students and has retained a steady rate of growth in the recent years. We are proud to be one of the strongest and prosperous fraternities in Estonia, despite all of the new opportunities the students have today with other forms of organization. Our traditions and rules have been preserved over the years and our members honor these traditions as they did in the beginning of 20th century. Although these rules are sometimes considered very strict, we owe our thanks to the founders of Sakala who created them, for they have ensured that after a scrutinizing junior year only the foremost and trustworthy can become full members of korp! Sakala. 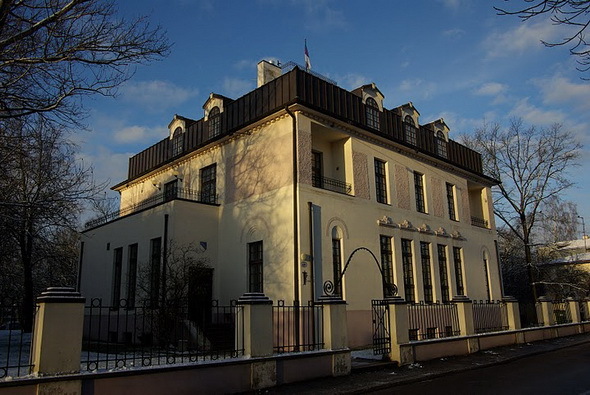 Our convent house is one of the architectural masterpieces in Tartu, planned by renowned Finnish national architect Armas Lindgren and completed in 1911. The high ceilings, prominent hall and plenty of space make it ideal for a student corporation. In 1941 the building was hit with a flame bomb and the only thing that survived was the walls. During the war it was used as a sickbay and a commando post. 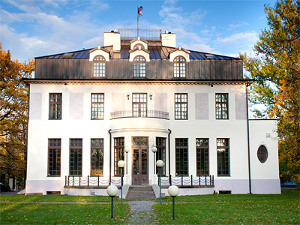 After the war ended, the building was given to Tartu Arts School. 40 years later, the house was returned to Sakala by the municipality and with great effort from our members and support from abroad, it was finally renovated a couple of years later.